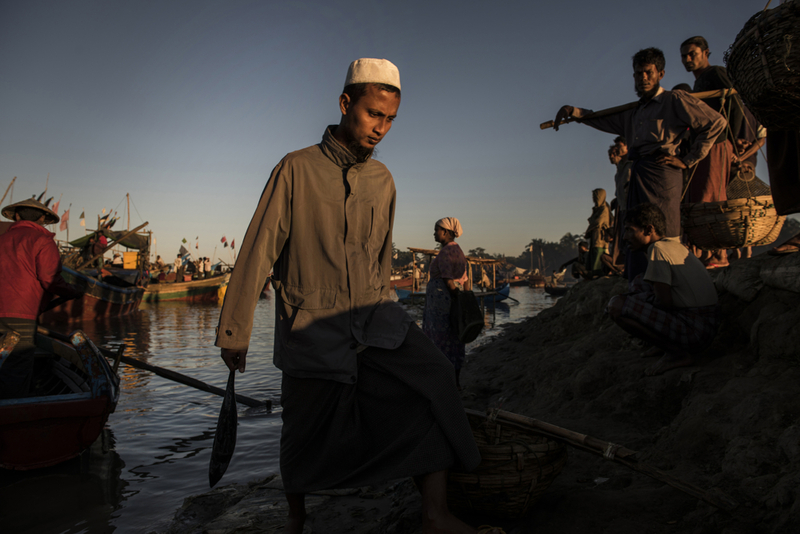 Rohingya fishermen arrive with fresh fish at the Thay Chaung fishing port in the Thay Chaung camp for internally displaced near Sittwe, in Myanmar, November 24, 2015. Every morning, dozens of fishermen arrive at the port after having been at sea from anywhere from a few hours to several days. Fishing is one of the main means for the Rohingya to support themselves and their families, as they are not permitted to leave the confines of the camps in Sittwe, and there are limited opportunities to work.